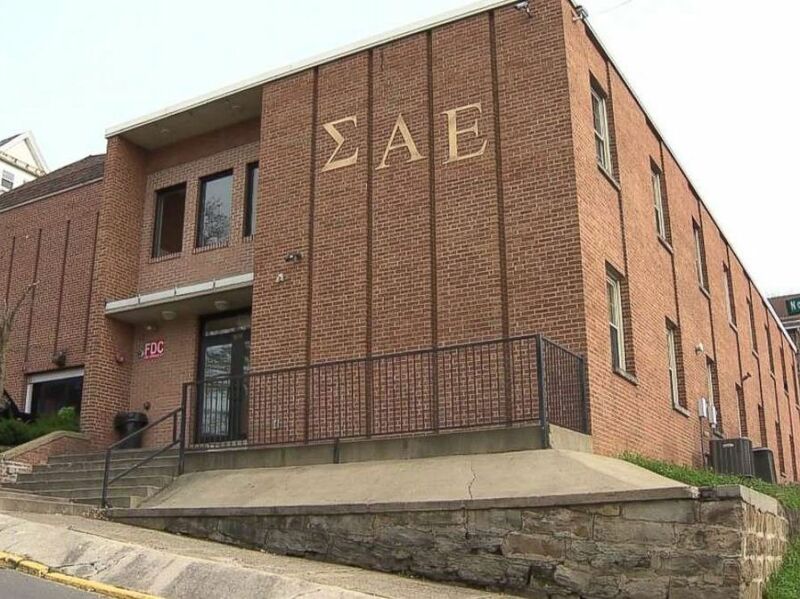 A student at West Virginia University is in critical condition after a fall at the school's Sigma Alpha Epsilon fraternity house -- leading to the suspension of the chapter pending an investigation. David Rusko, 22, remains in the intensive care unit after the fall on Nov. 10. The school said Rusko appears to have fallen down a set of stairs at the home and was knocked unconscious. It then took two hours for his fellow frat members to call an ambulance, the school said. "Officers have discovered that more than two hours lapsed between Rusko’s fall and the 911 call," according to a press release from the school. The senior is a finance major from Uniontown, Pennsylvania. A student was critically injured in a fall at the Sigma Alpha Epsilon house on the campus of West Virginia University on Saturday, Nov. 10, 2018. 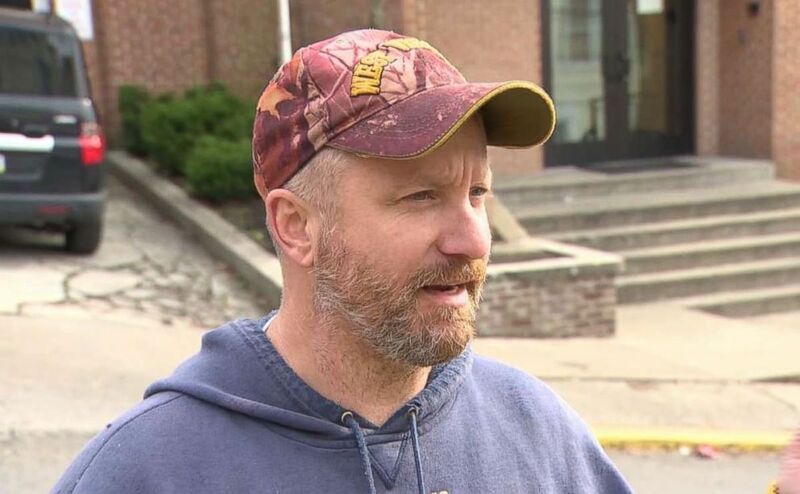 Eric Dyson, the property manager for the building, told Pittsburgh ABC affiliate WTAE, "It appears that he had taken a misstep on the staircase. There was no organized function or anything like that. A couple of guys were playing pool upstairs." WATE reported Rusko underwent surgery on Friday. West Virginia said Thursday it had placed "a number of students on interim suspension, and additional students may face disciplinary action" over the incident. "I am deeply disappointed in the apparent actions and inactions of these students, and the decisions that were made," Dean of Students Corey Farris said in a statement. "As our investigation moves ahead, we remain very concerned about David’s condition. He will continue to be in our prayers." Eric Dyson, the property manager for the Sigma Alpha Epsilon building at West Virginia University, said video appears to show student David Rusko tripping and falling down the stairs on Saturday, Nov. 10, 2018. The school said Rusko is a member of the fraternity and was visiting to watch the school's football game against TCU. 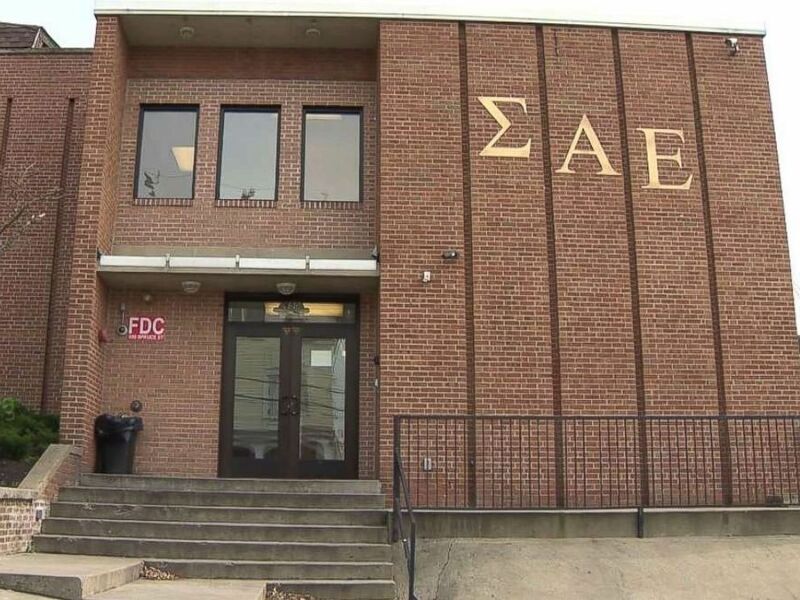 The national chapter of Sigma Alpha Epsilon ordered the cease-and-desist for the WVU chapter as an investigation is conducted. "As soon as we learned of this accident, we immediately opened an investigation and are working closely with the University as part of its review," Sigma Alpha Epsilon said in a statement. "We have also instructed the chapter members to cooperate fully with law enforcement in its investigation." West Virginia University, under President Gordon Gee, has cracked down on the behavior of fraternities in the wake of a student's death in 2014. Gee placed a moratorium on "all social and recruiting activities" for 16 fraternities in February, including Sigma Alpha Epsilon, calling it a "tipping point" for behavior among the chapters. A minimum GPA of 2.75 was instituted for all frat members, in addition to rules for new pledges, and a review by the school led to the suspensions of four fraternities this fall. Sigma Alpha Epsilon was not among them, but it was hit with "various restrictions, including limits on social activities and requirements for hazing and alcohol education," according to the school. The University of Iowa suspended its chapter of Sigma Alpha Epsilon last month, one of nine frats at the school suspended over breaking a moratorium on alcohol.